Unlike the BBC, Ibrox Noise would never dream of creating a fictional link between Rangers or Celtic and violence upon the innocent. 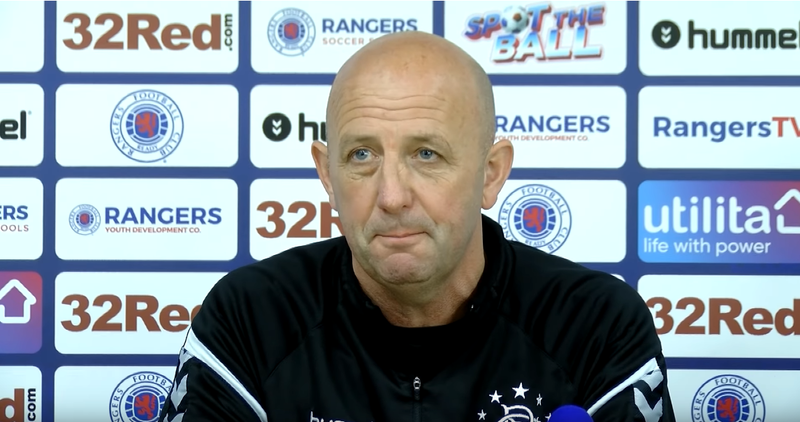 We’re sure most of our fans wouldn’t either, but we couldn’t help wonder if the appalling assault on Gary McAllister last night’s timing wasn’t very telling indeed. For those unaware, our assistant manager was bravely attacked unprovoked by a truly big man, a man with integrity who wished to appear strong in Leeds last night, by hitting a defenceless 54-year old victim as he waited with his wife for a taxi in the town centre. McAllister had generously given up his time to travel south to watch the Liverpool Legends v Milan Glorie charity match at Anfield to support Stevie G and raise funds for the Liverpool Charity Foundation, and his reward for such a selfless act was some bloke coming up to him as he and his wife waited and smashing him without warning in his face. McAllister, mercifully, beyond being badly shaken up, wasn’t too badly injured – needed stitches but most of the attack was ultimately superficial, but he did have to report the incident to the police and, by the nature of stitches obviously had to go to hospital at 4AM. He made statements along with his good lady. And all after the BBC had trivialised violence within football by suggesting Rangers were somehow to blame. We wouldn’t dream of suggesting there’s a cause there, but the correlation is undeniable, and unlike the BBC we won’t blame one group for the disgusting actions of an individual. Whoever this gentleman was who brutally whacked Rangers’ assistant manager must feel very proud to have hit an innocent man in front of his wife, while he minded his own business. It takes real bravery to do that.